A receipt is a business tool used to document the transfer of goods or services and money between two parties. Receipts are commonly used in an exchange between a service provider and their client, or dealings between two business parties. Receipts example can both be machine-generated and handwritten, depending on the service provider. After a sales transaction, or other business transactions where the use of receipts is applicable, a copy of the receipt is handed to the customer, while the service provider gets to keep another copy for record keeping. What Is a Donation Receipt? 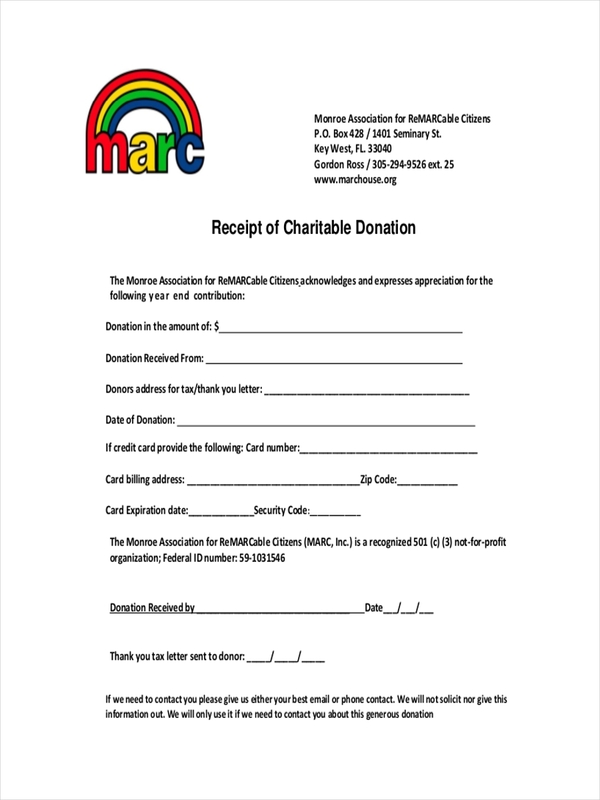 Simply speaking, a donation receipt is a document which usually serves as an evidence of a donor’s monetary or non-monetary (in-kind) contribution or donation to a certain organization (usually a nonprofit or charitable organization). 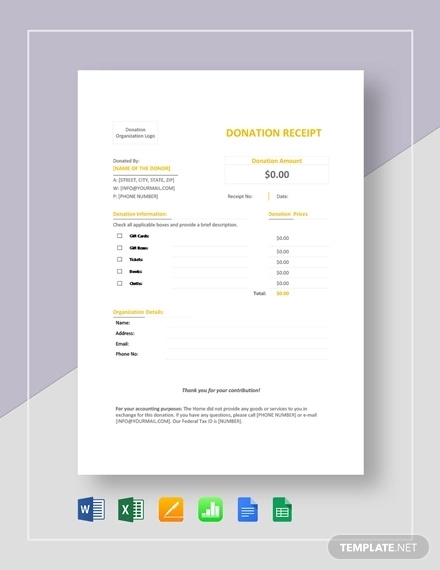 There is no official template or format used, but donation receipts commonly contain details of the donation including the donor’s name, address, and contact details, as well as a list of items (for non-monetary donation) or amount of money donated. Record keeping. Receipts such as these allow the donors keep track of their finances. 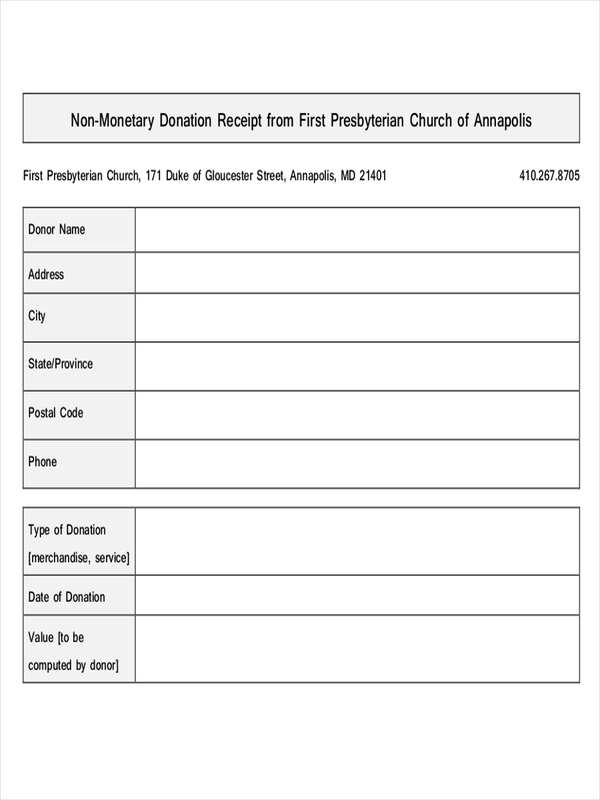 Donation receipts also allow organizations to accurately record the donations they have received. Keeping track of donation history. 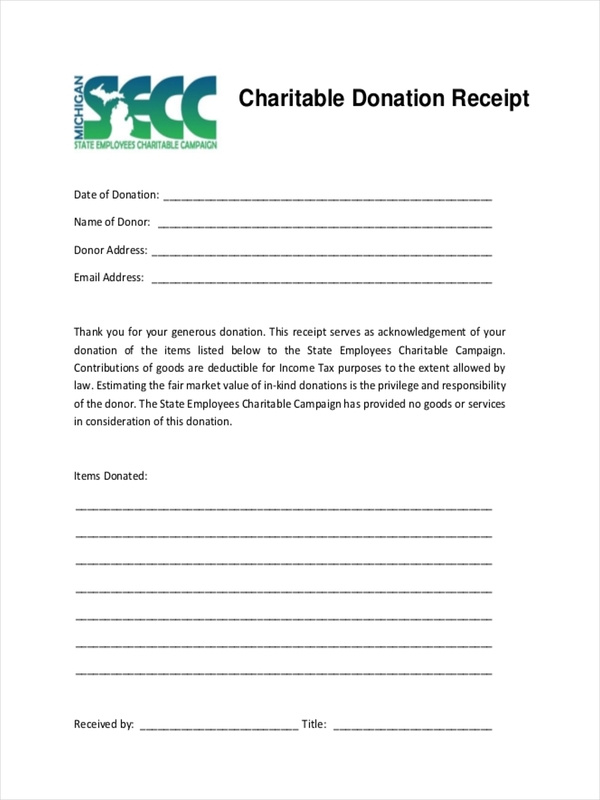 Donation receipts provide donors with a confirmation that their donations have been received and help organizations in keeping track of the history of their donors’ individual contributions. Tax returns deduction. 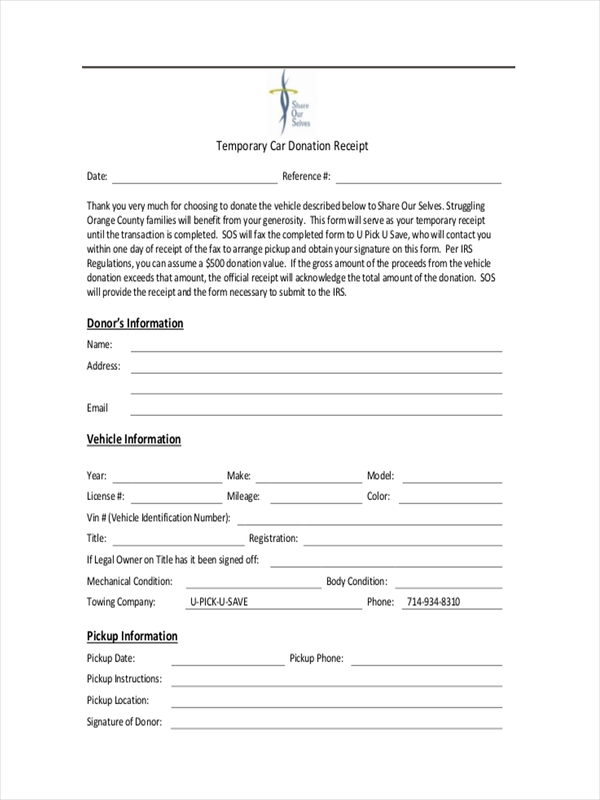 Donations are considered in tax deduction. Thus a documentation is needed upon identifying the deductions on the donor’s tax returns. First of all, understand the law on the issuance of donation receipts in your area. Indicate the type of receipt on the heading. 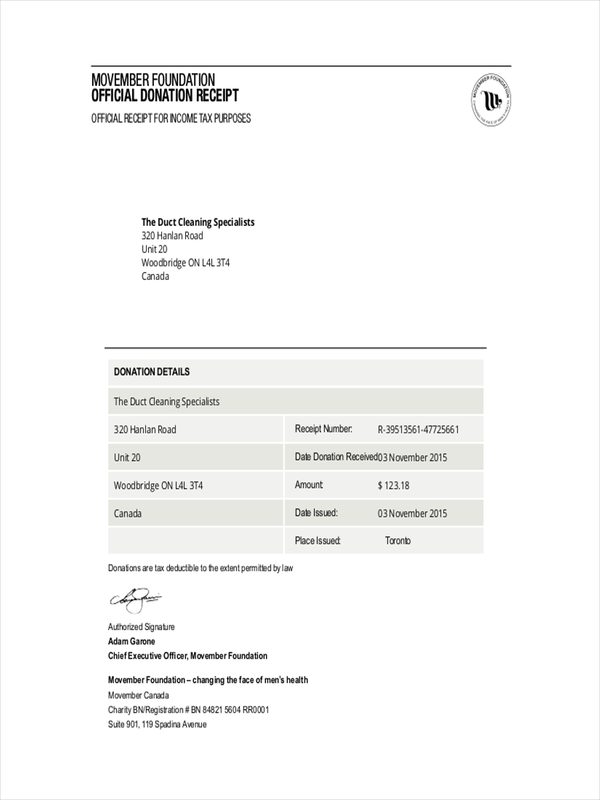 This will distinguish the donation receipt from other receipts that the donor receives. 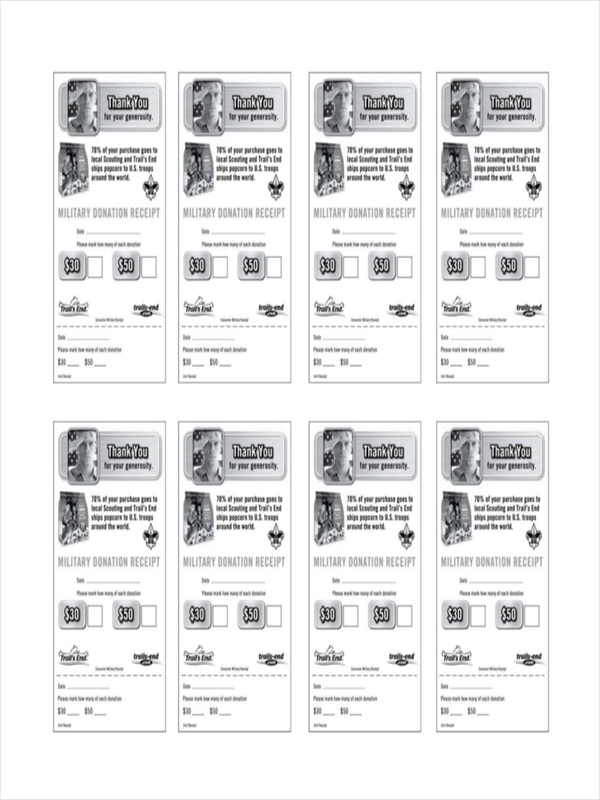 Choose or create a template for your receipt. There are many downloadable templates online, or you can choose to create your own template using the tools you can also find online. Write the details you want to include in your receipt. 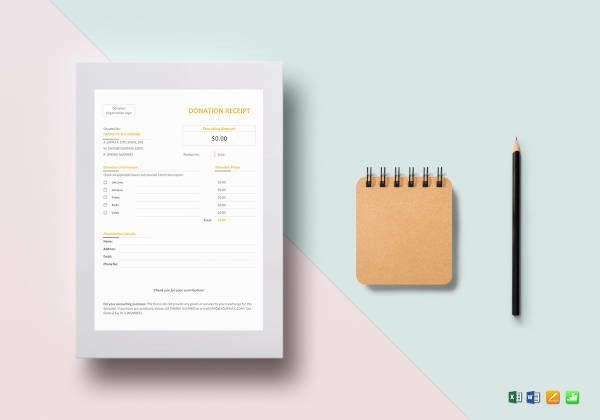 You can include the name of your organization (and probably a few words to describe your organization), and a few remarks for your donor (like a thank you message). You can indicated blank parts to fill up (if you intend to complete your receipt by hand). In filling up, clearly write the donor’s name and information about his/her donation. Affix your signature, and let your donor sign the donation receipt. This will validate your donation receipt. You can attach a separate thank you letter to express your gratitude to the donor’s charitable deed. Keep another copy of your donation receipt. You can refer to a few downloadable receipt examples found in this article, in case you find the whole process confusing. What Is a Donation Tax Receipt?